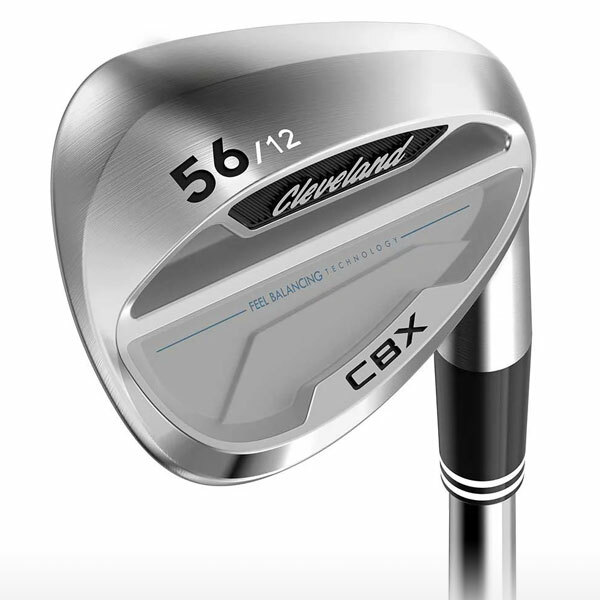 The introduction of the CBX wedges, along with the CBX irons, afforded Cleveland the ability to make some impressive advancements to the RTX wedges. They describe the RTX 4 as, “The most tour-authentic wedge we’ve ever made” and every improvement they made lives up to the billing. 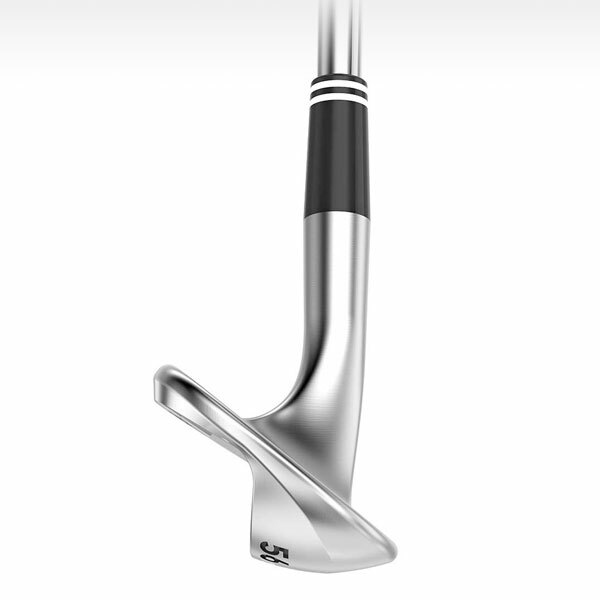 The feature that immediately tipped me off to the RTX 4 wedges being geared towards better players is the stock shaft selection. Cleveland equipped these wedges with the Dynamic Gold S400 Tour Issue shaft, which will promote tighter dispersion. Packed full of technology, the RTX 4 wedges are designed to stand up to the demands better players expect shot after shot. 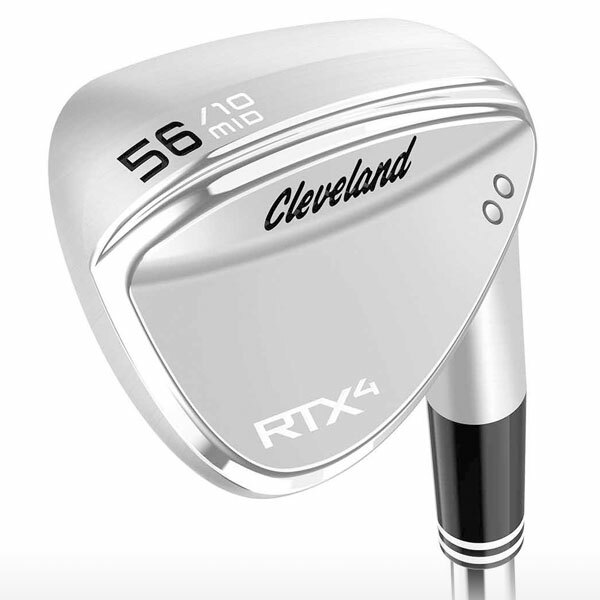 Building on the technology in the RTX 3, the Cleveland RTX 4 features Tour Zip Grooves, Progressive Feel Balancing Technology, a milled face and precise laser milling between the grooves that brings the levels of friction right up to the limit. Greater friction generated means more and consistent spin for premier short game control. Based on Tour player feedback, the progressive head shape integrates the looks of the lower lofted RTX 4 with the top end of your irons and transitions into traditional shaping in the higher lofted wedges. A progressive back also adjusts the center of gravity to align the CG with the most common impact areas for each loft. The complete line of V-shaped soles offered with the RTX 3 have been replaced by four new soles designed for specific swing and shot characteristics. In general, the fuller soled RTX 4 features higher degrees of bounce. 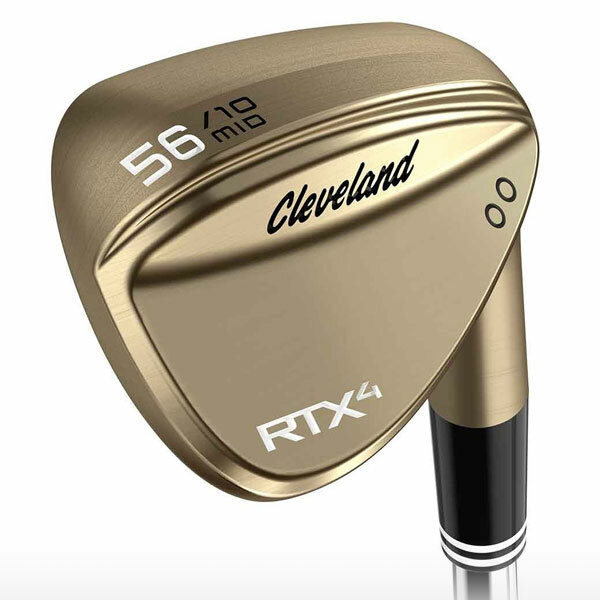 The Tour-inspired RTX 4 wedges gave Cleveland a great opportunity. They could now design a lineup of wedges designed specifically for players who use cavity back irons. 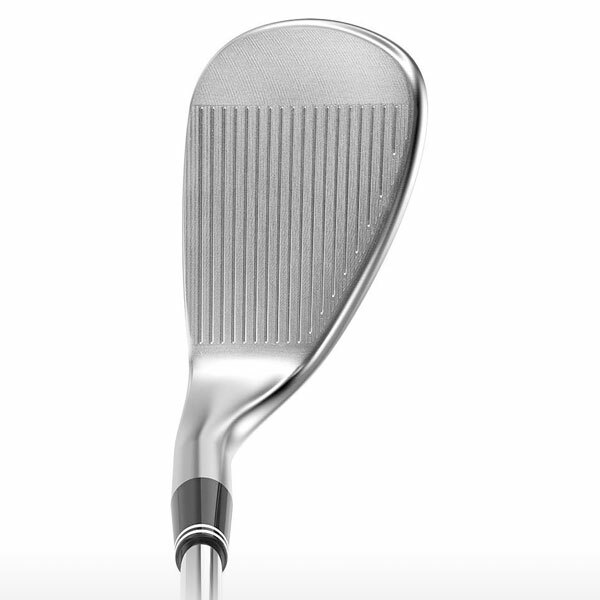 Their CBX design has many of the same features on the face as the RTX 4; Tour Zip Grooves, laser milling and aggressive groove channels. 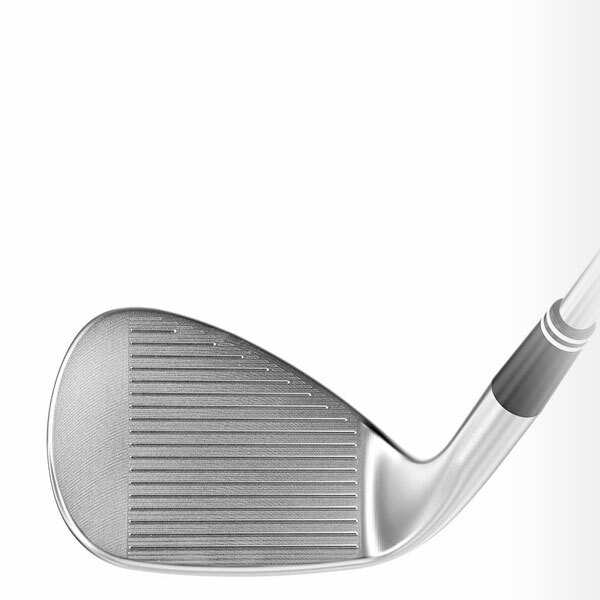 However, to increase forgiveness the CBX wedges adopted the Dual-V-Shaped sole, seen on the RTX 3. A progressive design helps to transition the appearance of your scoring irons right into your wedges without feeling like you are playing a totally different club. The Feel Balancing Technology also promotes consistent performance through a micro-cavity in the hosel, pushing the center of gravity away from the heel and towards the center of the club face. I played a couple rounds with the RTX 4 56° mid sole wedge and one round with the CBX 56° wedge. With the RTX 4, I decided to simply use it as I would normally use my Vokey SM7 56° (which has a DG S400 shaft) and see if it lined up yardage-wise. After a few swings, I found that I hit both wedges about the same distance and began to focus on the feel. 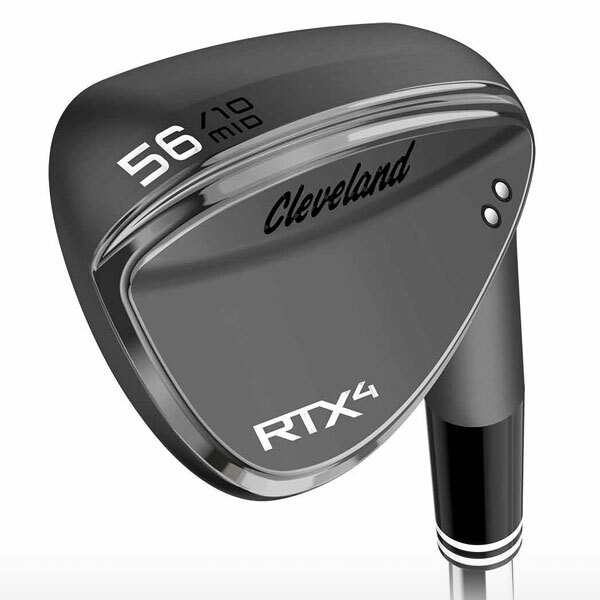 The face of the RTX 4 wedges are rough to the touch. The laser milled lines almost give the wedge a feeling of raised grooves between the actual grooves (similar to the Callaway MD4 wedges which has raised grooves). I felt confident on full shots that the ball would zip off the face with a lot of spin and either check or back up, depending on ball flight. My results confirmed that confidence in spades. Around the greens the RTX 4 was really nice once again. The wedge had a balanced feel in my hand and I noticed I was able to elevate the ball quickly from lies in the rough, as well as from the fairway. The quick elevation combined with the spin created off the face allowed me to aggressively attack pins from short distances and stop the ball quickly. I greatly enjoyed the feel and looks of the RTX 4. The black satin has a charcoal look to it with very little shimmer off the face in direct sunlight. The shaping has a classic look and should suit most player’s eyes at address. Transitioning to the CBX wedges, since they have a cavity back I expected a much larger footprint, however any bulk to this wedge is expertly hidden at address. In my hands it felt solid and I had no problem producing consistent ball flights on full swing shots. Though, it was around the greens where the CBX really impressed. The V-shaped sole offered consistent turf interaction, no matter the lie or distance. I could put forward press on the wedge or open the face and the sole kept the leading-edge flush to the ground. Cleveland has always been a main player with wedges, but their latest innovations have stepped up their game immensely. 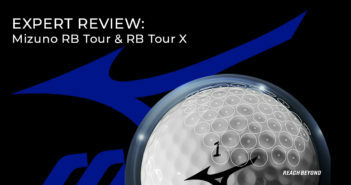 I am a big fan of the re-imagined soles of the RTX wedges and the DG S400 Tour Issue shafts. The combination provides excellent feel and consistency on all types of shots and from all lie conditions. Better players are definitely going to find a lot of success with these in their golf bag. The addition of a lineup of wedges for players with Game Improvement irons is a home run. If you struggle with shots around the greens or shy away from hitting from a tight lie, turn a weakness into a strength by checking out the CBX wedges. 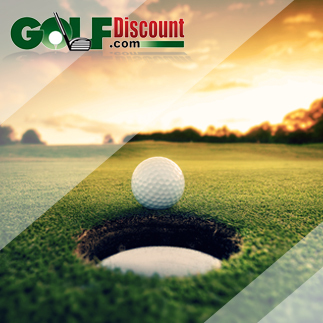 The added forgiveness and impressive styling will have your confidence soaring and pulling a wedge from your bag where you might otherwise instinctively putt through yards of fairway or fringe.